Sports Direct, which has had its image tarnished by a growing media storm over its working conditions, has issued a profit warning following tough Christmas trading. The retailer has said that since its interim results on 10 December it has experienced a "deterioration of trading conditions on the high street". Its interim results on 10 December were revealed at the same time as a Guardian expose of working conditions, which compared its distribution centre to a gulag. Sports Direct has also blamed the profit warning on a "continuation of the unseasonal weather" over Christmas. The retailer believes it could miss its adjusted underlying EBITDA target of £420m by as much as £40m. 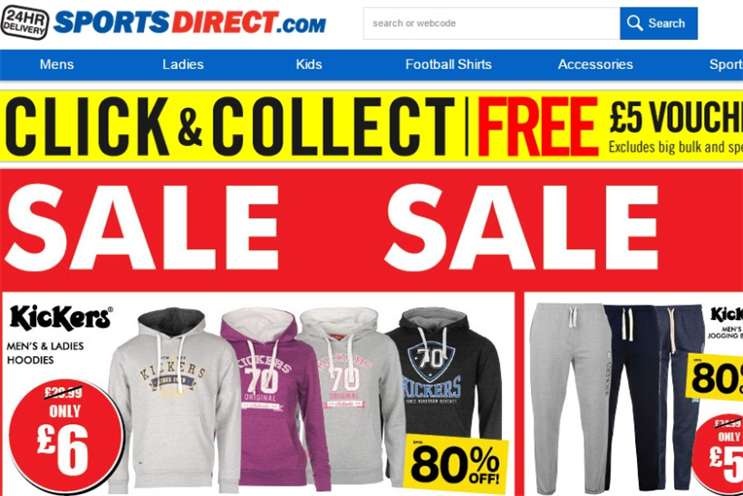 Sports Direct’s business practices are coming under increasing scrutiny after a series of negative headlines, which has led boss Dave Forsey to admit more needs to be done by the retailer to improve its brand image. It recently announced it would begin paying its staff more than the statutory minimum wage, which followed shortly after the Guardian accused it of paying some staff below the minimum wage. The story led to a treasury minister being summoned to the Commons to explain what the government is doing to ensure Sports Direct pays the minimum wage. Sports Direct has also faced sustained criticism of its use of zero-hour contracts, but the retailer has defended the practice by claiming it offers staff such as students the flexibility they desire. Who were the retail winners and losers this Christmas?